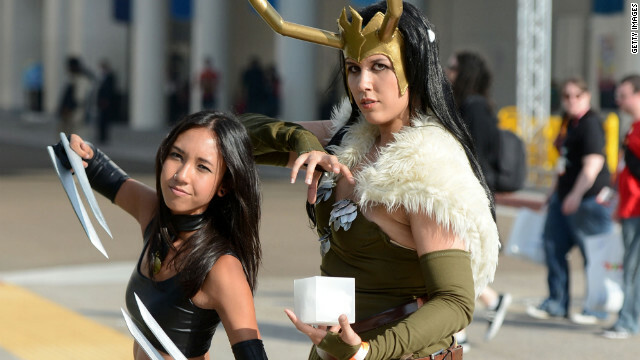 The presence of fans dressed as X-23 (left) and Loki's female form (right) at Comic-Con signals the broadening of geek culture. Editor's note: When he's not teaching the Internet how to fist-fight, why being weird is awesome or how to self-publish your own books, Joe Peacock tours the world, showing his extensive "Akira" art collection. He also cosplays as a six-foot-two-inch, 310lb Powerpuff Girl to fill the hollow pit that is his need for the wrong kinds of attention. There is a growing chorus of frustration in the geek community with - and there's no other way to put this - pretty girls pretending to be geeks for attention. San Diego Comic-Con is the largest vehicle, but it's hardly the only convention populated with "hot chicks" wearing skimpy outfits simply to get a bunch of gawking geeks’ heads to turn, just to satisfy their hollow egos. Now, before every single woman reading this explodes, let me disambiguate a bit. I absolutely do not believe that every girl who attends conventions and likes "Doctor Who" is pretending to be a geek. The presence of female geeks means that the fiction we're reading is broadening and, frankly, getting better in quality. It means nerdy films and television shows aren't relying on damsel in distress stories and objectification of women to draw readers. It means content is broadening and becoming smarter and more accessible. I want more of that. Flaunt it if you got it – and if you're a geek, male or female, and you're strikingly handsome or stunningly beautiful, and you cosplay as a handsome or beautiful character, more power to us all. Hot geeks are hot. Take a good look, publishers. 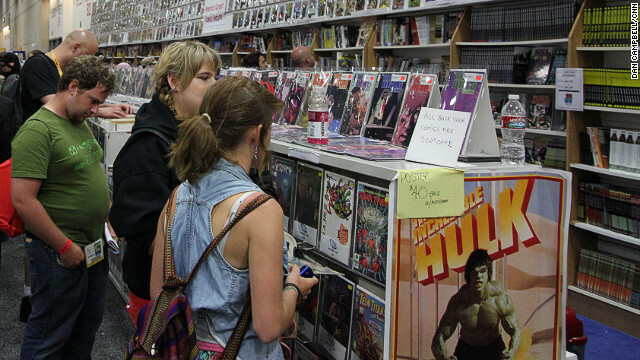 These ladies are buying comic books. Editor's note: Rob Salkowitz is a business analyst and consultant specializing in the future of entertainment, media and technology. This is an excerpt from his latest book, "Comic-Con and the Business of Pop Culture" (McGraw-Hill, 2012) which focuses on the nerdy audience at the largest comic book trade show in the Western Hemisphere. Follow him @robsalk. I don’t think it will come as a big shock that, for most of the history of comics fandom, conventions have not been distinguished by high numbers of females of any age. That began to change in the 1990s, when strong and emotionally authentic female characters like Xena: Warrior Princess, Buffy the Vampire Slayer, and the cheerful Goth-girl personification of Death in Neil Gaiman’s popular "Sandman" series activated the recessive fan gene on the X chromosome. The trend accelerated with the mainstream popularity of manga, which had developed numerous styles over the years to appeal to all genders and was sold in bookstores, beyond the boys-club direct market comics shops. The rise of the Internet poured gasoline on the fire, creating spaces for feminerds to come out of the woodwork and share their passions. Many of today’s best online comic and fantasy-genre news sites and discussion groups were started by, and remain powered by, women.